It is my passion to work as a guide by ‘listening’ to your soul. In this meditative journey I invite you into a state of consciousness, I call grace. Here, as we journey to the heart, all manner of things arise, and become available to be healed and integrated. 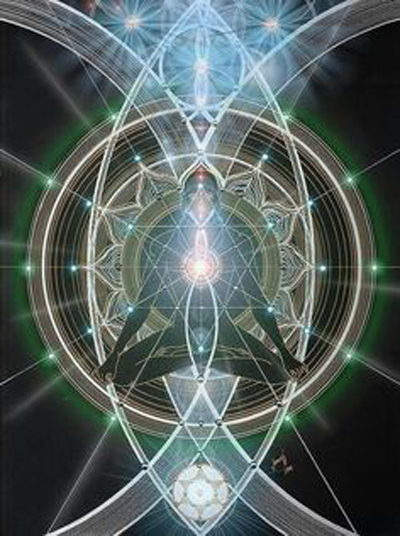 A fundamental approach in the work is to invite an initiation experience through empathic transmission and resonance of the heart connection (the light body) as well as other powerful states of consciousness; including the emptiness and life force energy. These states of consciousness hold immense possibility to activate our healing from the inside, and take us from our traumatised wounded self, to a direct experience more aligned with our true nature, and truth. This is also a powerful way of cultivating resources for the ongoing emergence of the soul. Rather than focus on removing what is perceived as ‘wrong’… we remember our-Self which is always here, and which we have simply become disconnected from. As we progress in activating our inherent nature, we meet all ‘memory’ (trauma) in contrast and conflict to who we really are. Stillness in the heart, is the jewel which illuminates and integrates. The process cultivates the ability to become Sovereign, empowered and present. The nature of a session unfolds based on what arises in each moment. As a guide I use empathic awareness and high sense perception to access subconscious/unconscious material and supports the return to Self and therefore wholeness. Integral to this approach is healing at the causal layer, as we travel deeper than what is consciously presenting in the present moment, to the very root and origin where the trauma first originated. This includes preconscious trauma, developmental events such as conception, womb experience, birth as well as ancestral, past life and collective imprints (memories). Ultimately everything originates from emptiness… so as we cultivate this, and clear things all the way through to the cause we naturally arrive back to Self (empty of ego). Reclaim your power through embodiment, of trauma, resistance, and light energies. The ideal way to do this work, is to begin and maintain your own practice. Session work includes session notes, and highlights practice guidelines particularly for your current situation. My intention is to support self-mastery through use of the Embody Truth methods and so session work is a direct experience of neurological changes which enable the soul to progress, and is greatly supported by your own practices of alignment, intention, and meditation. Many of my clients quickly gain the ability to detect and heal their own traumatic responses and then only come back to me if they have a particularly difficult issue they need to resolve. Sessions vary in length depending on the issue and purpose and are available on skype or in person. Sessions with people who have attended the workshops are much faster and easier and can be effective in less time. First sessions should allow at least 1.5 hours. I am available to work with individuals, couples, or family groups. Session fee is $150 for 1.5 hours, includes session notes, and practice guidelines. Fee is based on country of domicile (i.e. $150Au, $150NZ, or $150US (US and Europe). Much can happen in a single session, however, my preference is to work with those who want to make a commitment to clearing core issues and getting their life on track, for this I offer a six consecutive weekly session, one-on-one program This includes weekly practices, and availability for chat support through the duration. Six week program is available at $600 upfront. Please contact me to apply for session work or to organise a 15 minute chat to explore further how we might work together and answer any questions. It is common that through session work people become interested in learning to work by themselves, for this I offer workshops both at various venues, or over skype. Please check my EVENTS page. If you are interested in online training, or coaching please CONTACT me by email or on FACEBOOK.